Edward Fenwick Boyd holds the dubious honour of being the first of the 55 Oxbridge rugby Blues to lose their lives in World War 1. Boyd was born in Houghton-le-Spring into a family of engineers. His grandfather, who was also Edward Fenwick Boyd (30 August, 1810 – 31 August, 1889) was an English industrialist who became the fourth President of the North of England Institute of Mining and Mechanical Engineers He held a leading role in the Mining Institute from its inauguration in 1852 as Treasurer and a member of the council before becoming the fourth president in 1869. As president, Boyd oversaw the installation of the Nicholas Wood Memorial Hall (the Mining Institute's headquarters in Newcastle-upon-Tyne) and the Newcastle College of Physical Science. Edward Boyd junior followed his father, mining engineer Robert Fenwick Boyd, to Rugby School. He entered the school in 1904 and was in the 1st XV in 1908. He went to Oxford in 1909 and studied for an M.A at University College. His rugby career at Oxford was split between playing at forward for the Dark Blues and Blackheath. He didn’t win his Blue until 1912, yet had been good enough to hold down a regular place in the Blackheath pack alongside the Pillman brothers, England internationals Cherry and Robert, and play against the top sides in the country. He figured in Oxford’s 10-6 win over London Hospital on23 February, 1911, and played in the ‘Colours’ team that lost to the ‘Whites’ in the Seniors Match at the start of the 1911/12 season. That season he played mainly with Blackheath and 1912/13 season at the club as well. He didn’t figure in any of the Oxford trial matches, but he started in the first three games of the season. He missed out on the 6-0 defeat against the Springboks at Iffley Road on 6 November and must have thought his hopes of winning a Blue had gone. There were five Edinburgh Academy players in the Oxford pack that day, led by Scottish international David Bain. He was already a Blue, but Francis Thomson, JG Monteith, JDC Coates and Edward Fiddes were all chasing theirs and must surely have thought they had done enough after pushing the Boks’ so close in a pulsating performance that promised much for the Varsity Match at Queen’s Club a few weeks later. Boyd got his chance to stake his claim three days after the game with the tourists, when he was in the Blackheath side that beat the students 13-3 at the Rectory Field. Even so, he was overlooked for the wins over Leicester and United Services, instead helping Blackheath to beat Richmond, but he was back in the Dark Blues side on 19 November for the win over Dublin University at Iffley Road. On 23 November he helped Oxford beat Gloucester 12-3 at Kingsholm, with five international players missing, and on 31 November he played in the 6-6 draw against Newport at Oxford. In the space of two weeks it seems he did enough to prove his worth and he was then picked for the Varsity Match as one of two changes from the pack that had battled so well against the Springboks. Boyd and Humphrey Moore came in for Fiddes and Coates, both of who missed out on Blues in their careers. The only other changes to the team that had met the full force of the South Africans came in the centre, where Edward Loudon-Shand and Arthur Dingle were ruled out through injury and were replaced by Ken Hands and Norman Reid. Given that the Springboks had mauled Cambridge University 24-0 in their game at Grange Road there was every expectation that the Dark Blues might extend their unbeaten record in the fixture to seven games stretching back to 1905 – five wins and a draw. The Prince of Wales was among the spectators who had to watch the game through constant drizzle. They saw Oxford take the lead with a first-half try through inspirational skipper and England cap Bruno Brown, yet lose the game 10-3 to two second half tries, both converted by Jenny Greenwood. Boyd didn’t figure again in the Varsity Match fixture, but he continued playing for the Dark Blues that season and went on the post-Varsity Match tour to Scotland in 1913. He helped them to draw 24-24 against Manchester on Thursday, 11 December; they then lost 20-15 to Liverpool two days later before beating Monkstown 14-13 in Dublin on Monday, 15 December. They then lost 27-3 to Dublin University, despite an outstanding display from Boyd. Most of the final season before the outbreak for World War 1 was spent playing at Blackheath and among his more notable victories were a 6-3 triumph over Harlequins at Twickenham in front of a crowd of 5,000 on 29 November, 1913, a home and away double over Oxford University, 13-0 and 25-3, and a 19-3 win over Cambridge at Grange Road in their last home game of the season on 21 February, 1914. There was also to be one more appearance in front of Royalty after his selection for the ‘Offices of the Army’ against the ‘Officers of the Royal Navy’. Both HM The King and the Prince of Wales turned up at Queen’s Club on 7 March, 1914, to watch the final inter-services game before the outbreak of war. 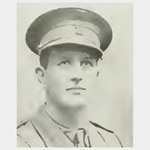 Boyd had picked out the Army as a career long before he became one of the first soldiers to leave England for the killing field of France and Belgium. He was Cadet Officer in the Officer Training Corps at Rugby School and then at University College, Oxford. He was Gazetted into The Northumberland Fusiliers in February, 1912 and made 2nd Lieutenant in the 1st Battalion (5th Foot) in September. The Northumberland Fusiliers raised more battalions during the war than any other of the regular Army regiments, 51 in total, and suffered the highest number of losses, 16,000. The 1st Battalion, which was part of the 9th Brigade, 3rd Division, was stationed in Portsmouth in early August, 1914, and needed to call up 621 reservists to bring it up to its full fighting strength of just over 1,000 men. As the history of ‘The Fifth in the Great War’ tells us they arrived in France on 15 August having set sail on 14 August for an ‘unknown destination’. They sailed on SS Norman and reached Le Havre at 3.00am. Two hours later they disembarked and were led by an eager French Boy Scout to Epremesnil, some six miles away, where they set up camp. They went by train to Busigny on 16 August and then marched to billets at Landrecies. They moved on to Noyelles the next day and the assembly of the British Expeditionary Force was completed by 20 August. The following day the Fifth marched east out of Noyelles to taste their first action against the Germans. They marched 12.5 miles to their latest billet at La Longueville and that night were informed they would be moving forward to meet the German forces, who were reported to be advancing in Belgium north of the Meuse. On 22 August, Boyd’s Battalion paraded before dawn and linked up with the 9th Brigade and headed to Mons. Mons is about 30 miles south-west of Brussels and about 20 miles west of Charleroi. It is a location associated most with 1914 and the first British contact of the War. The Battle of Mons on 23 August led to the famous ‘Retreat from Mons’, when the BEF had to fall back, almost in panic, in late August and early September after the Germans crossed the canal. This meant the British marched from near Mons to near Paris, a distance of around 150 miles, in just two weeks. So, no sooner had Boyd and the Northumberland Fusiliers got their first taste of battle than they were sent into a rapid retreat. Boyd and co covered 60 miles in 48 hours between 26-28 August until they finally found themselves billeted at Bouillancy on 1 September. By the time they reached Chatres on 5 September the retreat from Mons was over. The retreat was carried out to try to get the troops back in shape to make a stand and by nightfall on 5 September the whole BEF had been withdrawn south of rivers Marne and Grand Morin and was a mere 25 miles south-east of Paris. Whereas the Fifth had been very much part of the rearguard during the 13 days of the Mons retreat, they now took up the charge chasing the Germans. Over the next four days they pushed forward back up to the river Marne and on 10 September the Fifth helped to round up 1800 German prisoners. They kept on moving forward until ordered on 14 September to cross the river Aisne. It was during the week of fighting the Germans on the river Aisne that Boyd lost his life. “At 9.40 am Lt Col Ainslie decided to throw in his reserve company to clear the wood. Lt Col Smith, commanding the 1/Lincs Rgt, having readily agreed to send forward a company of his Battalion as temporary reserve to Ainslie, the company of the Fifth advanced and swept the wood clear of the enemy. This put an end to the trouble, but not before it had cost the Fifth very dearly. For although the casualties among the other ranks, 3 killed and 5 wounded, could be counted as light, the already heavy casualties among the officers of the Battalion had been increased by 2nd Lt Boyd having been killed and Captain Selby and 2nd Lt Tottie mortally wounded. The medical officer of the Battalion, Lieutenant Fisher, was also wounded on this day,” detailed the ‘Fifth in the Great War’. Boyd was mentioned in despatches (London Gazette, 19 October) by Field Marshall Sir John French for gallant and distinguished service in the field. His mother applied for his Mons Star in June, 1918.